Do you remember what your handwriting looks like? It’s too easy to forget these days when so much communication has moved from the physical and analog into the online and digital realm. We are used to seeing our words typed on a screen and not written on a paper, and it’s like that across different aspects of our lives. People who are dependent on using words in a professional capacity must have noticed this. From writers to marketers, we use typing to communicate, work, sell our products. But should we only use typing? The big, bold letters on the marketing horizon say – digital. Anyone who hasn’t incorporated digital into their marketing efforts is either looking into ways to do it or is left far behind the competition. The performance of marketing campaigns is measured in shares, likes, views, and comments. And that’s great because there are certain things you can do with digital marketing that can’t be done through traditional, offline channels. But sometimes, maybe taking a step back could be a good idea. Maybe it could be effective to look at what we’ve left behind instead of reigning in the marketing potentials of the next big social network. Maybe it could be nice to get the “e” out of “email,” pull out a pen and a paper, and write a letter by hand as a part of a marketing campaign. That is if we haven’t forgotten yet how to write. There is more than one reason why handwriting letters can be a bit of a pain. First of all, it takes a lot of time to write a letter, and if you want to do a big campaign which incorporates a lot of handwritten letters, the time you’d have to set aside to create them would make the idea very ineffective. And there’s also the fact that sending a letter by post is more expensive than sending an email. But there are also upsides to handwriting letters and incorporating them into a marketing campaign. It’s the ultimate act of personalization – you invest the time and money it takes to deliver to your customers or clients something that you’ve created on your own. 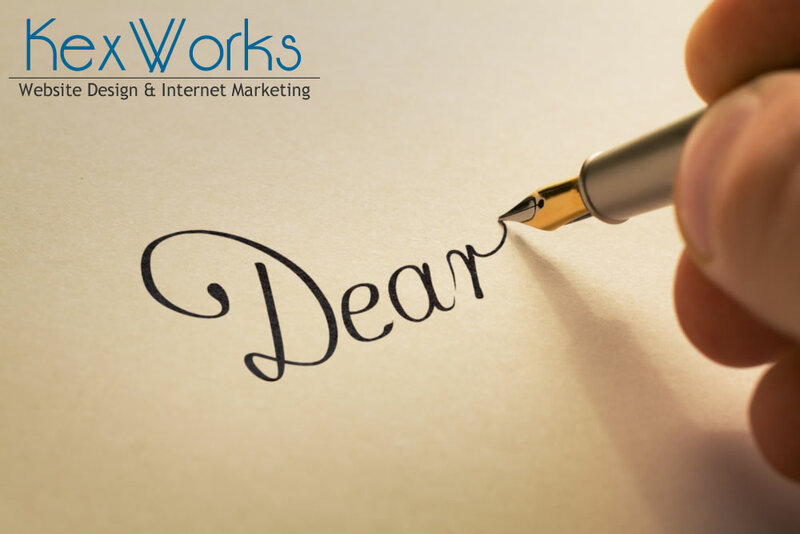 They could appreciate the effort, and they surely will appreciate the attention that a handwritten letter implies. You should also take into account the effect of surprise a handwritten letter might cause. People expect to be reached through social media, by email, or even regular mail, but they rarely expect to have a handwritten letter delivered to their post box. Who does that today? Almost no one, because everyone’s too busy chasing shares and clicks and likes and views. Not that you shouldn’t be chasing for these things as well – you should, because they are worth the effort – but this quirky little way to add some creativity to your marketing could be incorporated into your overall strategy. As far as the time it takes to write a bunch of letters – you can’t evade it; the time needs to be spent. However, you don’t have to write letters when you’re casting a very wide net. Instead, you should use it for highly targeted campaigns where you need to reach out to only a limited number of people. Use it when approaching prospective clients, not instead of a billboard which gets the attention of anyone who passes by it. This can save you a lot of time and money, and it can ensure that you get a better return on the money and time you end up investing. So, if your answer to the question of whether you remember what your handwriting look like was that you’re not sure, this might be a good time to start working on your penmanship. If you use it wisely, handwriting might be the thing that makes the difference in key areas where you could use an ace up your sleeve.